Children of War Foundation - LOS ANGELES, CA | CommitChange | We help organizations raise more money, more sustainably. Children of War Foundation (COWF) is a registered 501(c)3 non for profit organization based in Los Angeles, with presence and regional outreach in multiple marginalized and developing countries. COWF's mission is to provide access to healthcare and medical education opportunities to impoverished and displaced children and healthcare professionals in underrepresented communities. 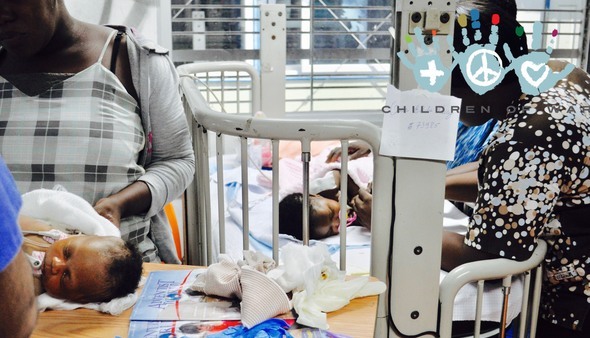 As of 2019, COWF has impacted the lives of 10,000+ children, improved clinical capabilities at several hospitals and health facilities, as well as, provided further medical education enrichment opportunities to healthcare professional in several countries. In addition to providing sustainable healthcare solutions and medical education while on outreach missions, COWF also provides access to virtual consulting, primary & secondary consults, diagnosing, and referrals through our Global Health partnerships. With our network, access to educators, healthcare providers and academically affiliated healthcare professionals from leading institutions, empowers our stakeholders (children and underrepresented healthcare professionals,) allowing for collective action in the fight for equal access to healthcare and medical education. Our partnerships, advisory and network enables our organization to connect and consult children and communities in need with some of the finest healthcare professionals, educators, healers, and various other professionals, globally. Surgical care is 100% free, our team members and medical professionals provide services while receiving no compensation. COWF is a non-profit, non-religious, non-politically affiliated organization that provides medical care to the children that need it regardless of race, ethnicity, nationality and religion. The organization’s ultimate goal is provide access to health care and healthcare education for all children in need globally.